Fish oil is an important source of Essential Fatty Acids (EFAs), also known as ‘good fats’. Consuming essential fats contained in fish oil can have great health benefits, including supporting heart health and brain function. Getting the right level through diet alone may be difficult, so how do you choose the right supplement? Read on to find out what we think makes a great fish oil. Our fish oils are all in ‘triglyceride’ form, just as they are found in food. This form is known to be the best for the body to use. Other forms such as ethyl ester deliver high levels of EFAs but have been chemically modified to do so and are ultimately not as well used by the body. So, although they may look high strength, they may not deliver what they claim. 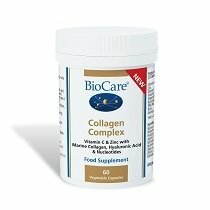 We have created an extensive range of fish oil supplements rich in omega-3 which is one of the main ‘families’ of EFAs the body needs to function well. 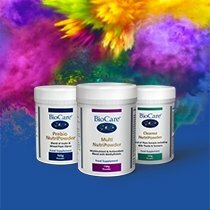 Each product is natural, highly absorbable, pure and made from the highest quality ingredients. 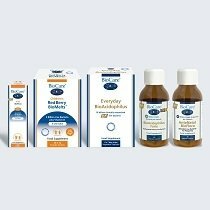 You can also choose from convenient fish oil capsules and high strength liquids, with specific formulations available for children, so you can take care of your entire family. If you want to avoid fish oil, then we even have vegetarian and vegan essential fatty acids, including our groundbreaking Vegan Omega-3 with EPA and DHA derived from algae. Purity is vital because fish can pick up a lot of contaminants from polluted waters. Our fish oil comes from wild anchovies and sardines swimming in clear pacific waters. Because these small fish are low down the food chain, they accumulate minimal levels of pollutants. They are then further purified during manufacture using the best possible technology and so easily exceed all levels of purity set out by the EU’s stringent standards. Discover our entire range of fish oil and other EFAs supplements below and learn more about the health benefits of fish oil in our Advice section.